Our product range includes a wide range of esd component organizer, antistatic bags, pcb storage trolley, esd fixed pcb rack, esd bins and conductive foam. 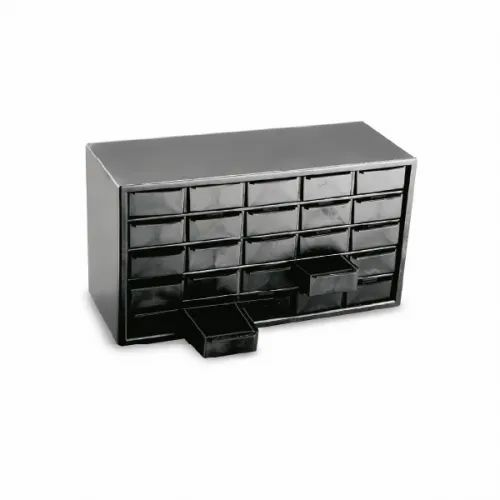 Conductive Component Organiser provides systematic storage of electrostatic sensitive devices. It consists of a cabinet with 25 small drawers. TSS Bags offered feature quality construction standards and provide for optimum anti-static shielding to the packaging of components. 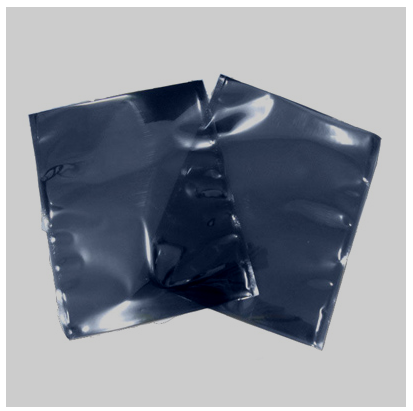 These static shielding bags provide for complete safety to expensive electronic components from damages due to static ESD discharging. 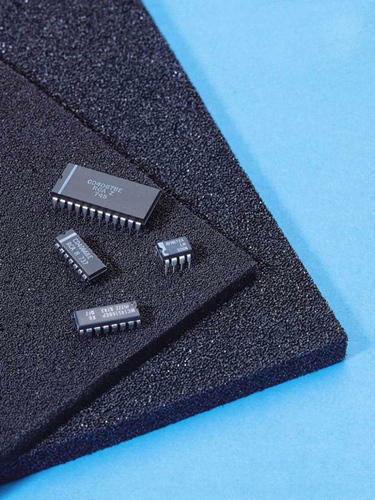 Made available at competitive prices, these anti-static shielding options involve the use of non-static generating polyethylene which makes these completely safe for electronic components. Color Black Color for conductive. Packing Fixed PCB Carrier are packed 5 pcs. in a box. Economical carriers for handling clinched SMD's, Soldered or bare boards of any Size. Tapered slots to keep PCB's in taper position. Strong rear lip for use with louvered panels. 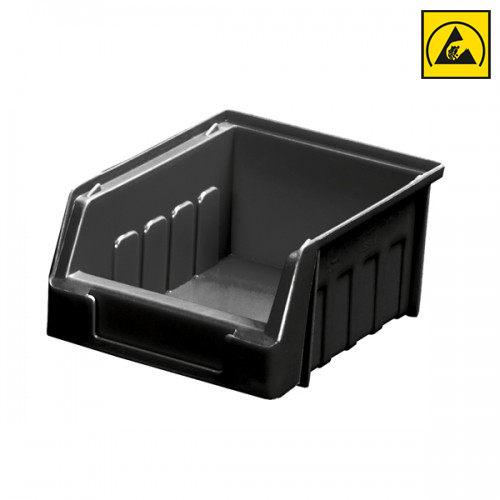 Strong heavy duty, with reinforced base side & stacking rim. Resistant to most industrial solvents. All bins with identification card holder slots. Conductive Foam offered comprises resilient nickel-copper polyurethane foam that is used between knitted and non-woven fabrics where it provides ideal support in applications requiring conformity with cavity-to-cavity EMI shielding. Some of its standard features include superior conductivity support at low compression forces, providing for effective working at high frequencies, perfectly meeting the demands of the latest electronic materials containment solution and others. Usage/Application Useful to store sensitive electronics equipments. 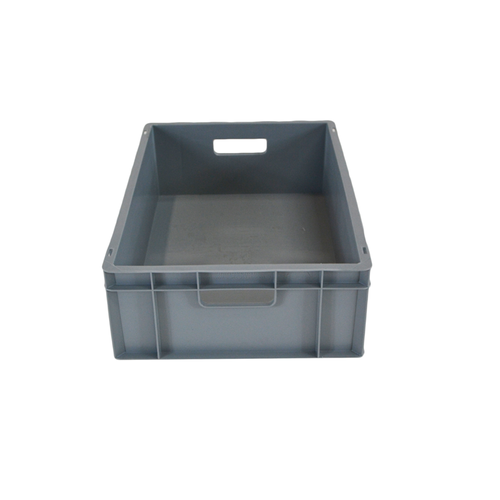 We are offering ESD Safe Crate to our clients. Color Black made from conductive polystyrene. 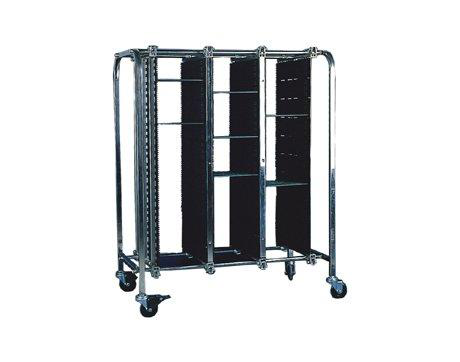 Adjustable PCB Carriers can be used for protection of boards during storage or transport in an assembly line or integrated with automatic component insertion machines. They can be stacked one on each other. 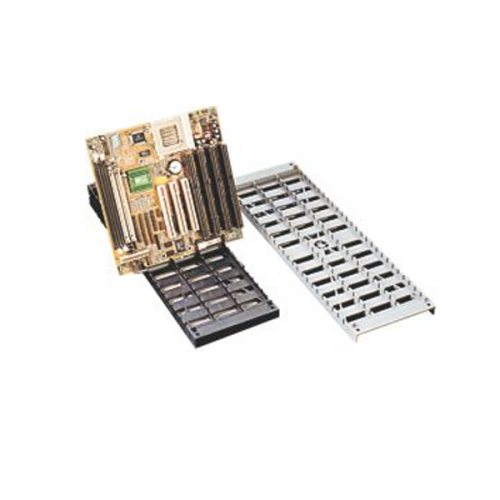 Each PCB Carrier has 31 distinct slots which can hold a maximum of 31 PCB's. 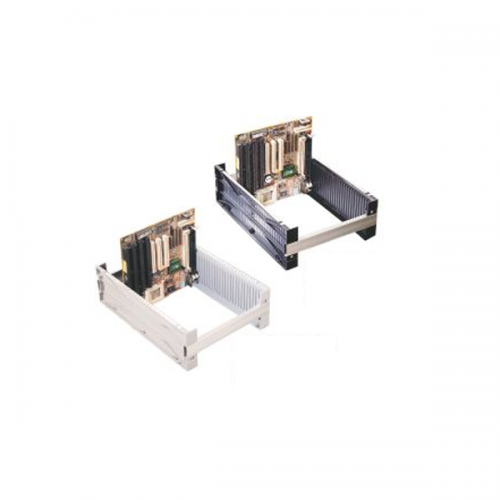 Special Aluminium Guides have a unique design which remains flush with the PCB Carriers. They help in adjusting the width as per the size of the PCB’s Three lengths of aluminum guides are available i.e. 253mm, 353mm, and 553mm.